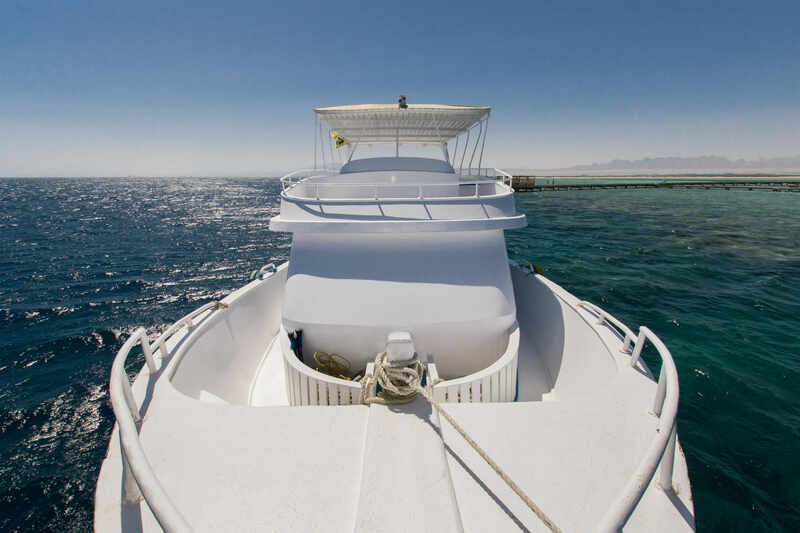 Our daily boat is the Compass. 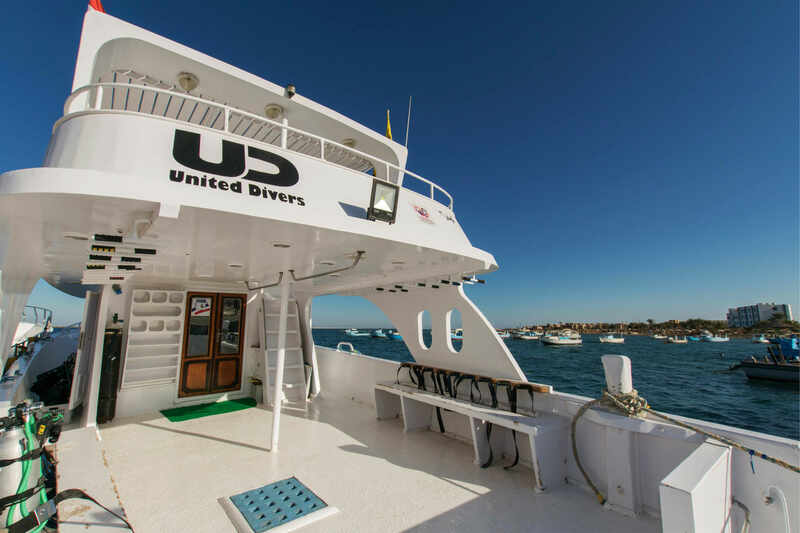 It can accommodate 20 divers. 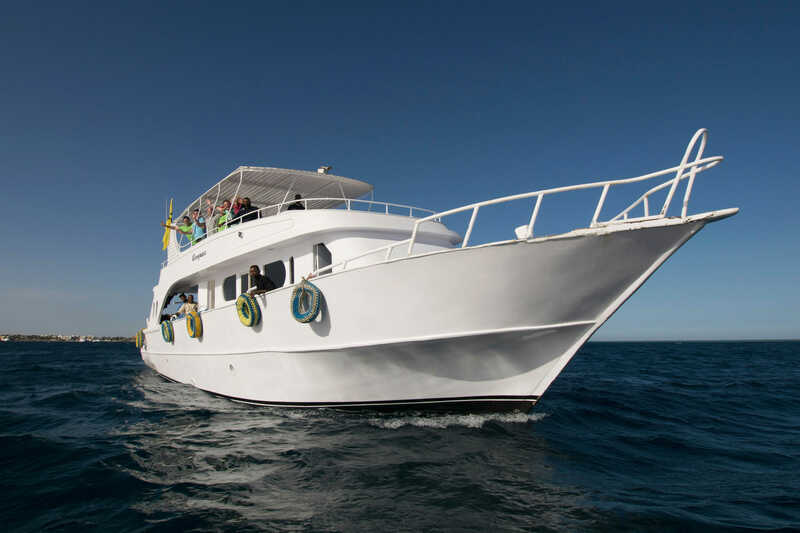 We rent additional boats when the capacity of the Compass is exceeded. 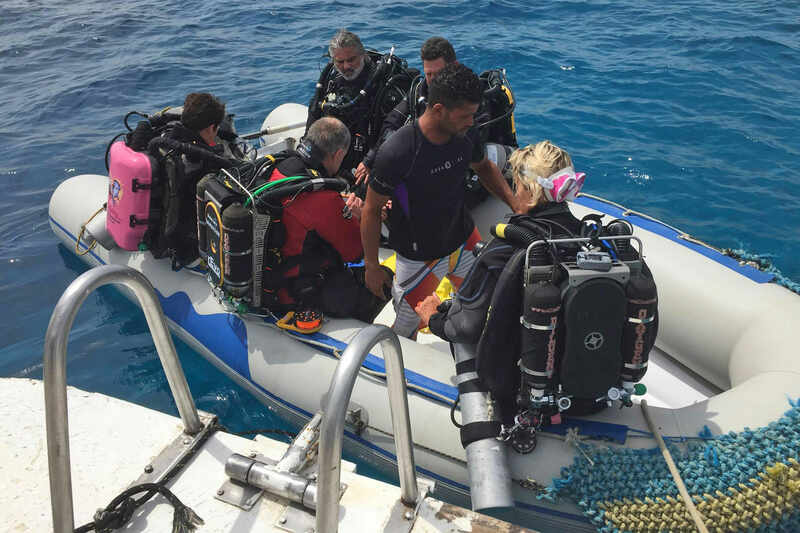 Each diver has a personal box to store his equipment. 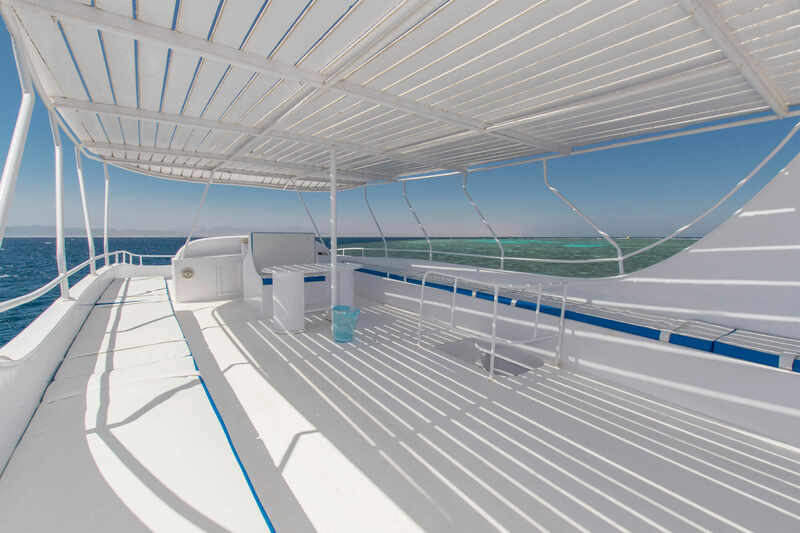 Fresh water showers and two toilets are available for your comfort. 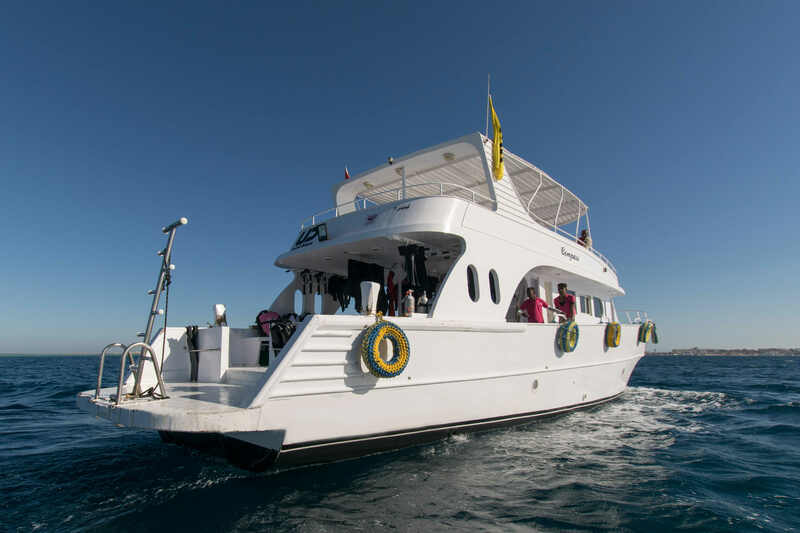 Our highly trained and experienced crew make sure only to take you to the best dive sites and are friendly and helpful every time. 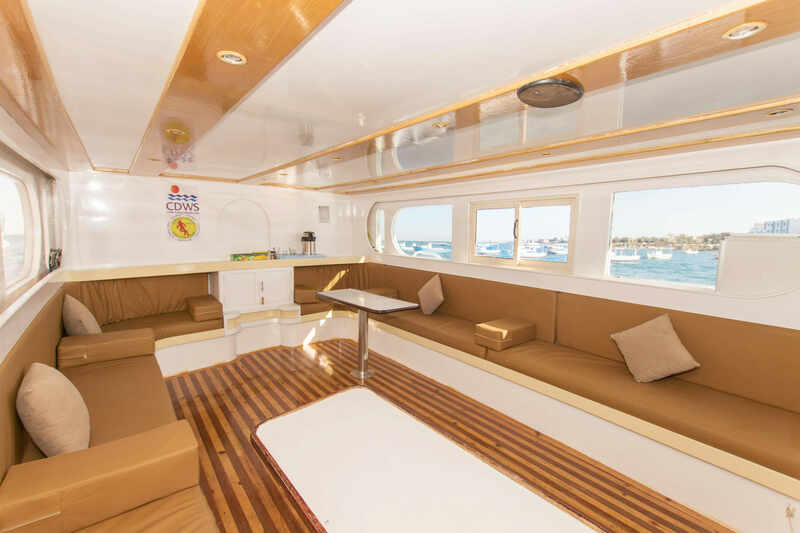 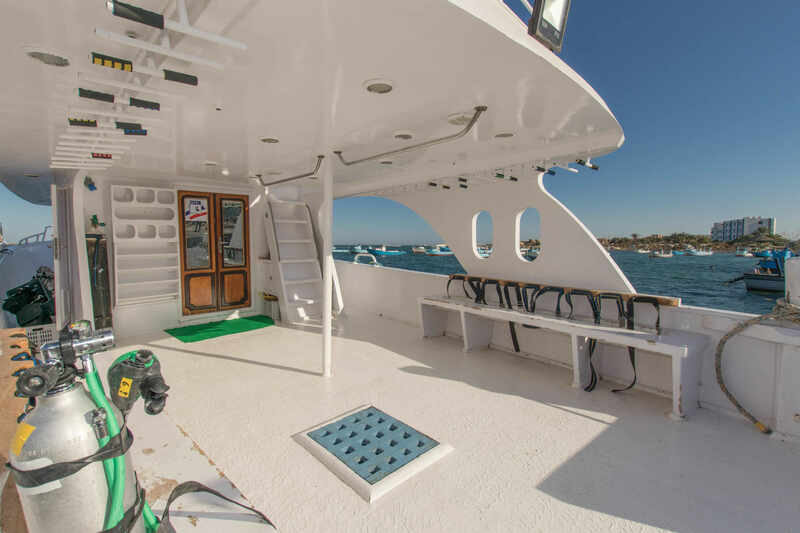 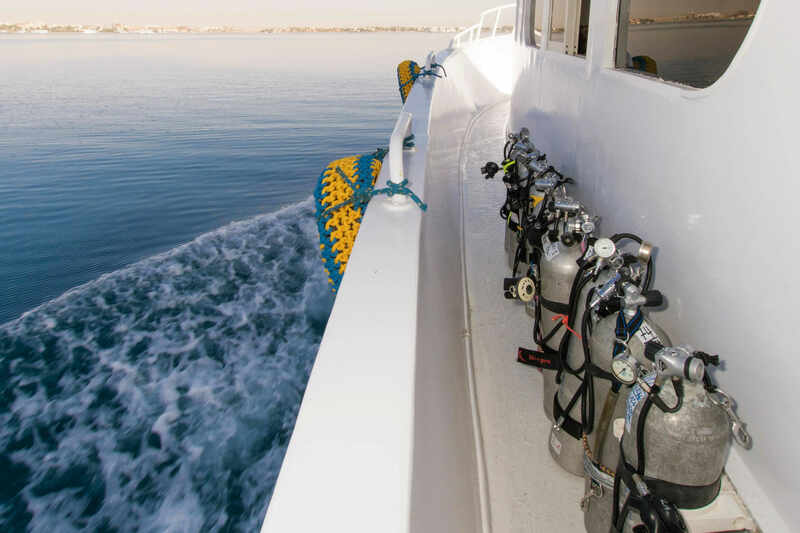 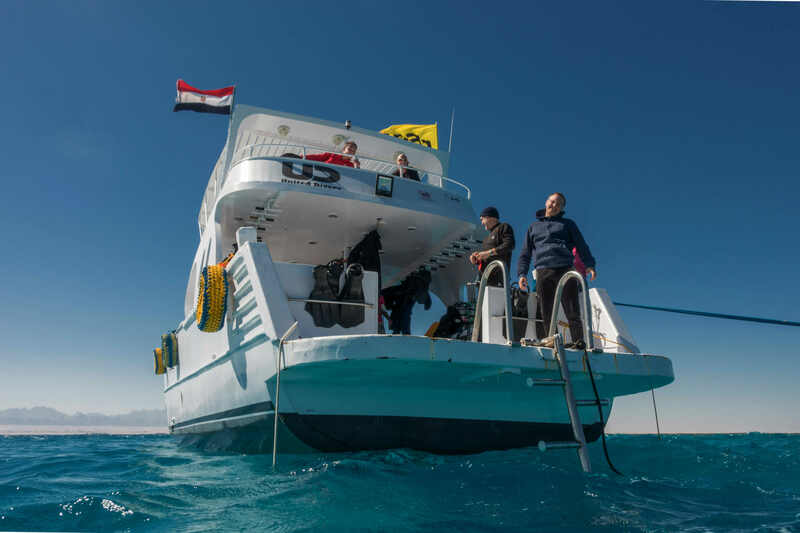 After the first dive there is the possibility of enjoying a delicious cooked meal freshly prepared by the on-board chef, and enjoy a siesta on the spacious sundeck. 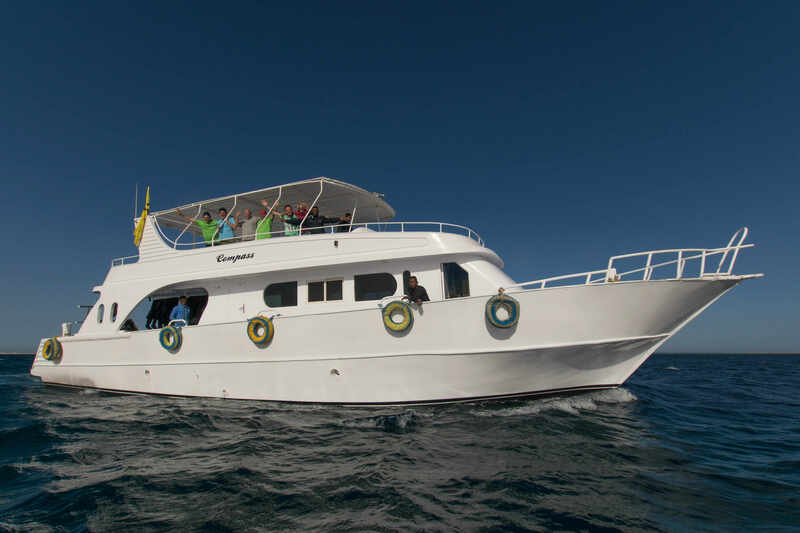 The Compass is also equipped with a zodiac for drift dive and divers recovery if necessary.